I’m thrilled to be directing a new, re-written production of Breath In Between in early 2017, premiering at Crow’s Theatre’s Crowsnest in Toronto. Tickets and more info, available here! 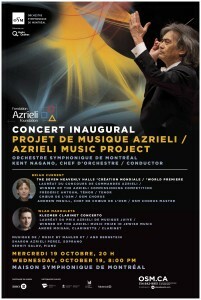 The world premiere of Brian Current’s new orchestral piece, The Seven Heavenly Halls, will be played in Montreal by the OSM, with the masterful Kent Negano conducting. The Seven Heavenly Halls features my libretto, adapted from a mystical Jewish text, The Zohar. If you’re in Montreal, tickets are available here. I’m really happy to announce that Al-Tounsi, a novel, will be published by Ankerwycke Books in February, 2017. The novel follows several fictional Justices of the US Supreme Court as they argue a single case over the course of a term. The case is based on a famous Supreme Court case from 2008 about the rights of detainees in Guantanamo Bay, so Al-Tounsi is specifically about personhood, imprisonment, national security, fear and terror – how those issues actually play out in the law and in the lives of (unseen) detainees. Primarily Al-Tounsi is a novel about people – the men and women who decide (emphatically) what the law is, and how their convictions invariably intersect with their personal lives and their ‘objective’ decisions. Ankerwycke Books is a new trade press run by the American Bar Association – specializing in legal themed books for a wide, general audience. Here are links to some fantastic reviews of Soulpepper’s production of The Dybbuk. My new adaptation of S. Anski’s classic play The Dybbuk will open at Soulpepper Theatre Company in Toronto in May 2015. Directed by Albert Schultz, with a fantastic cast. Congratulations to Brian Current for winning the Classical Composition of the Year Juno Award for Airline Icarus! Here’s a link to a review of the Naxos recording of our opera. With many thanks to Steerforth Press, I will be reading at great bookstores across the United States in the summer and fall of 2013. All events are linked. Airline Icarus, will be produced by Soundstreams in Toronto on June 3-8, 2014, at Ada Slaight Hall. Here’s a link to more information. The Iron Bridge was chosen as a runner up for the 2012 Danuta Gleed Literary Award, honoring the best 1st short story collection of a Canadian author. Many thanks to the Writers’ Union of Canada, congratulations to the other shortlisted authors, and Rebecca Lee.